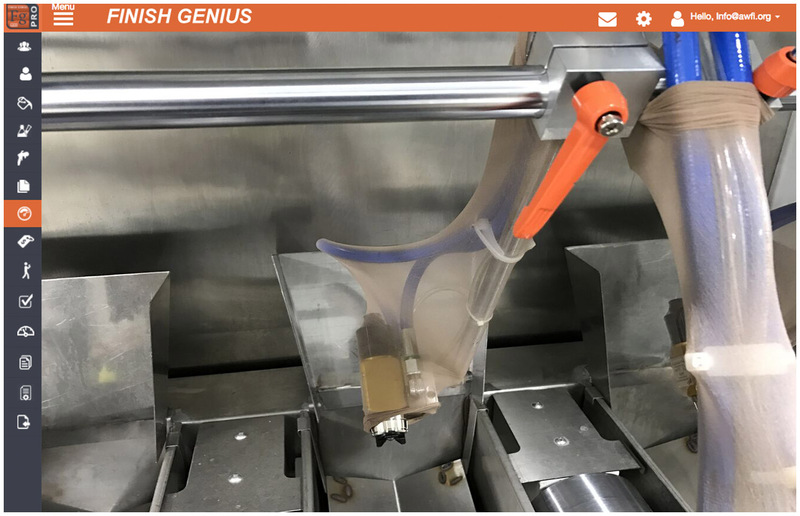 Finish Genius is a dynamic system to deliver streaming information to the shop floor in real time for improved performance and profitability. Our FG process engineering software and content solutions combine to deliver everything critical for manufacturers to be competitive and provide consistent quality. This user-friendly technology is designed with the requirements for efficient record keeping, training, and process validation for both large and small shops. All company proprietary content is strictly confidential and secure. Pre-Engineered Content + Your Data. Turnkey and Ready-to-Use. When you purchase Finish Genius, your data and any selected pre-engineered AWFI content will be loaded and ready to use. Advanced FG Pro 2.0 technology streamlines complex process engineering and documentation. Eliminate tribal knowledge and start using Finish Genius immediately, reducing cost and setup time. Knowledge is powerful, and Finish Genius delivers detailed streaming knowledge to your team in real-time. Line stoppage and reworks can be extremely costly, with FG you will increase your throughput, no matter how complex of a process. Finish Genius is your tool to efficiently controls process and people behavior. Engineered processes and electronic checklists are proven technologies that save you time and money. Data collection is your insurance policy against preventing product failure or to troubleshoot product failure to reduce the cost of material, coatings, and ultimately the risk associated with finishing. Finish Genius has a proven track record from small shops to large shops to simplify your operation and increase the bottom line profits. 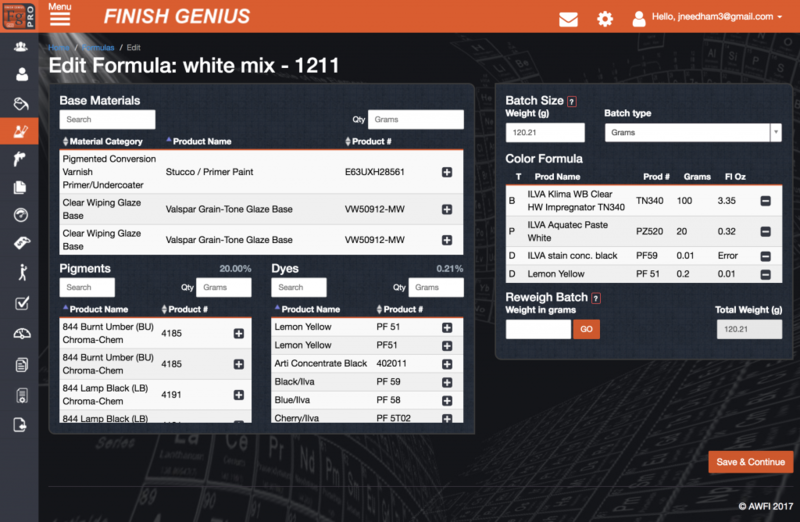 Learn More about the details and features of Finish Genius’ Formula Record Keeping. Learn more about the features and details of Creating a Process and Steps. Learn more about the features and details of Finish Genius Digital Work Instructions. 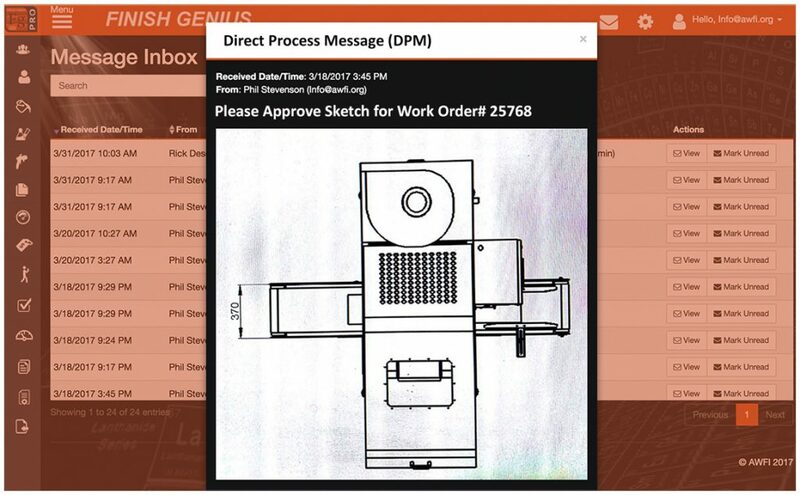 Learn more about the features and details of Finish Genius direct process messaging. Learn more about the features and benefits of Finish Genius’ Equipment Automation Data Streaming Connectivity. 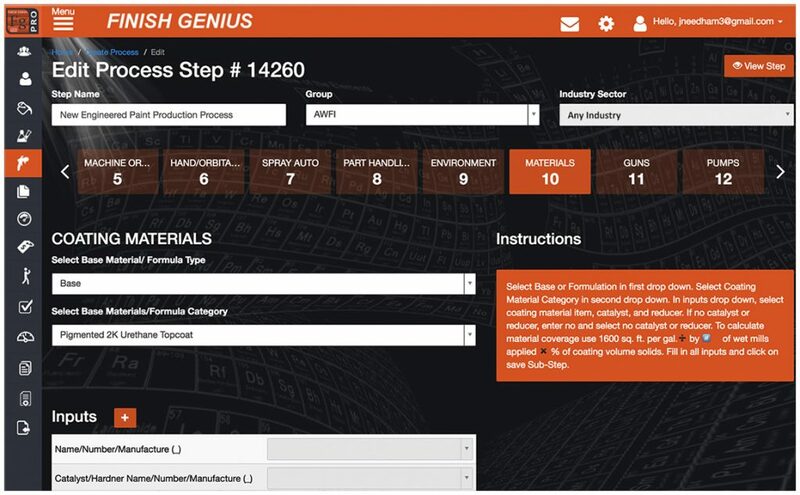 Learn more about the features and benefits of Finish Genius’ Process Validation. 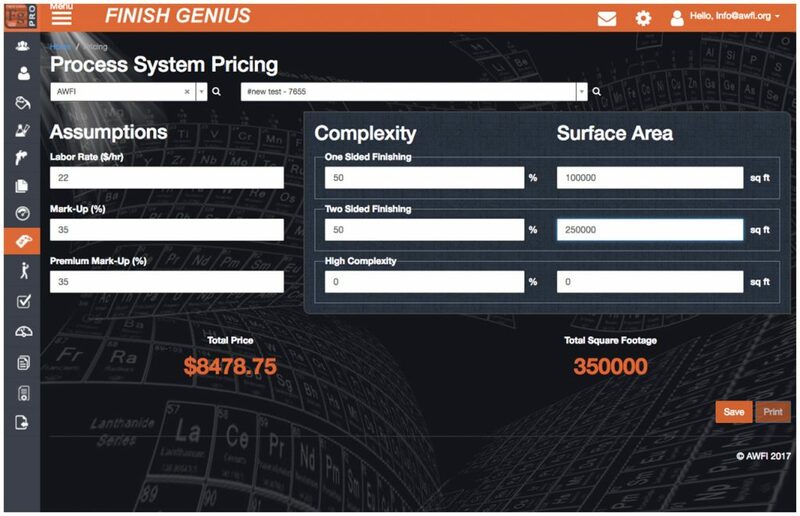 Learn more about the features and details of Finish Genius’ Process Costing. Learn more about the features and details of Finish Genius’ Material Quantities. 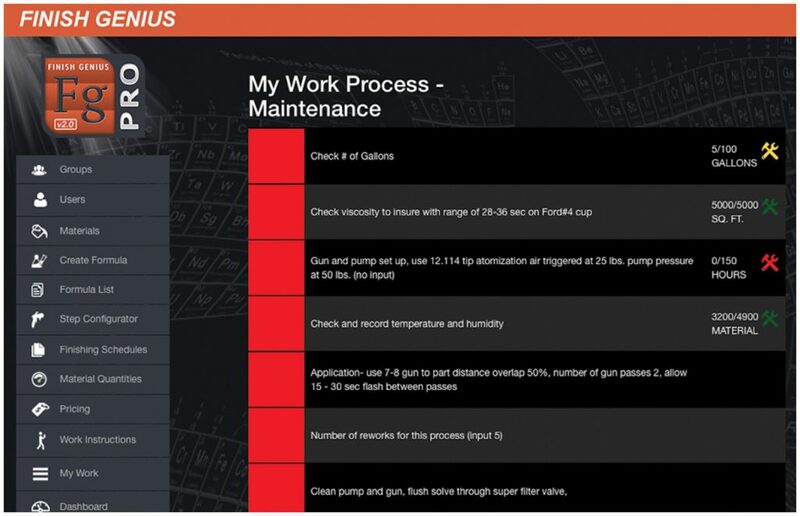 Learn more about the features and details of Finish Genius’ Video Process Monitoring. 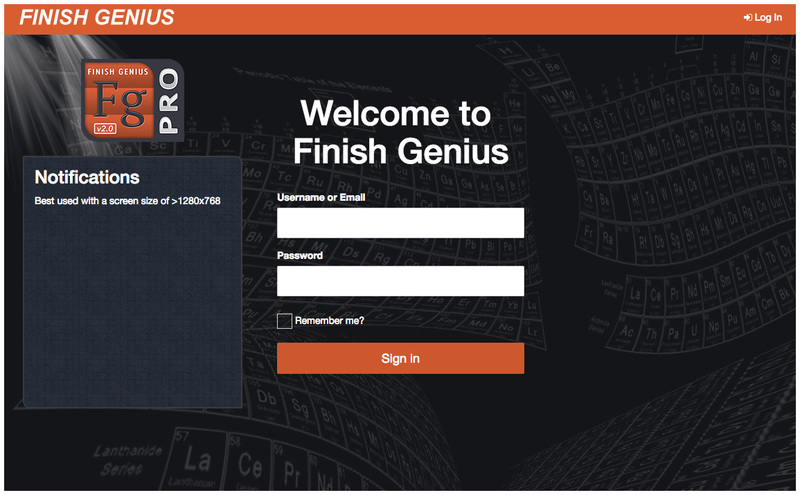 Experience the features of Finish Genius anytime with the online Live Demo. We’ve altered the content of actual formulas, processes, and work instructions, so that you can see how FG can work for you. All FG PRO+ packages come with Remote Process Consultations designed to get you up and running quickly. ‘Formulas‘ > ‘Edit’ to see how to make a formula. ‘Work Instructions‘ > ‘View’ to experience interactive multi-media work instructions. ‘My Work‘ > ‘Resume’ to see experience electronic checklists. 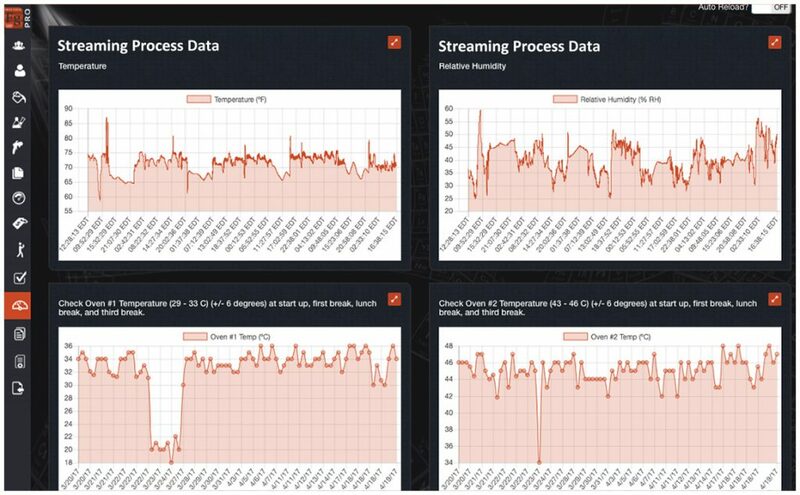 ‘Dashboard‘ > ‘Details or Graphs’ to view real-time data streaming and reporting. Don’t Get Stuck with Shelf-ware! AWFI and the Finish Genius Teams are committed to support and setup solutions so that your FG installation becomes an invaluable asset to your Finishing & Management Team. All Finish Genius accounts come with technical support. We understand there is a learning curve with any new application, the AWFI Tech Support Team is here to shorten that curve. Contact us through the FG application, email, or phone. The FG knowledge base is a good place to get started. 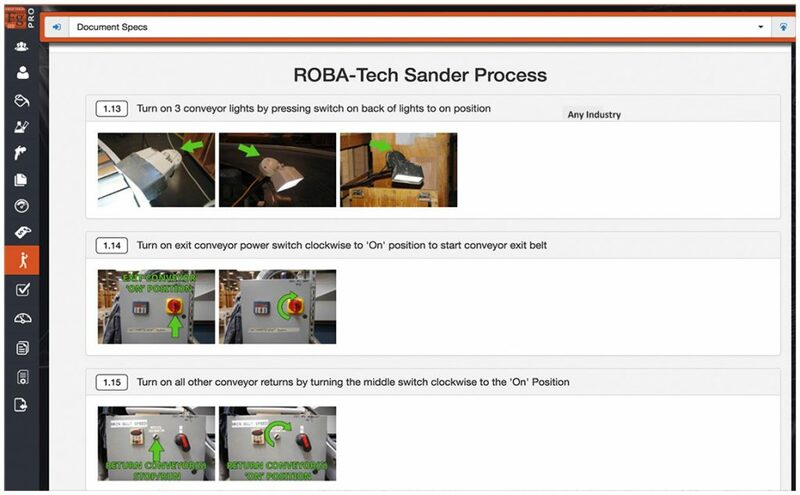 Browse through our multi-media documentation and become a Finish Genius Pro in no time. The AWFI Process Support Team has years of industry knowledge backed by the leading Finishing Application in the industry. This creates a high value resource for your Finishing Shop. Ask our Process Engineers how to setup a Finishing Schedule for multi-step finishing, water-based solutions, antique finishes, pigmented conversion varnishes and more. Based on the size of your shop and how many Finishers you have, AWFI has multiple configuration solutions that will zone in on your needs. From one-man shops to multiple-shift production facilities, we will help you find the right configuration for your Finish Genius Install. AWFI offers two configuration options for Small Finishing Shops with 1-3 Finishers. 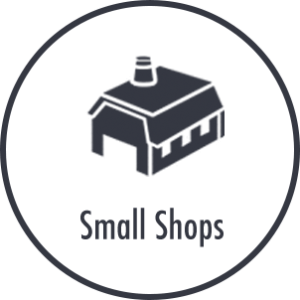 For small shops that only require one admin and 2 user accounts, this is the perfect solution to accomplish your finishing goals. Hit the ground running! 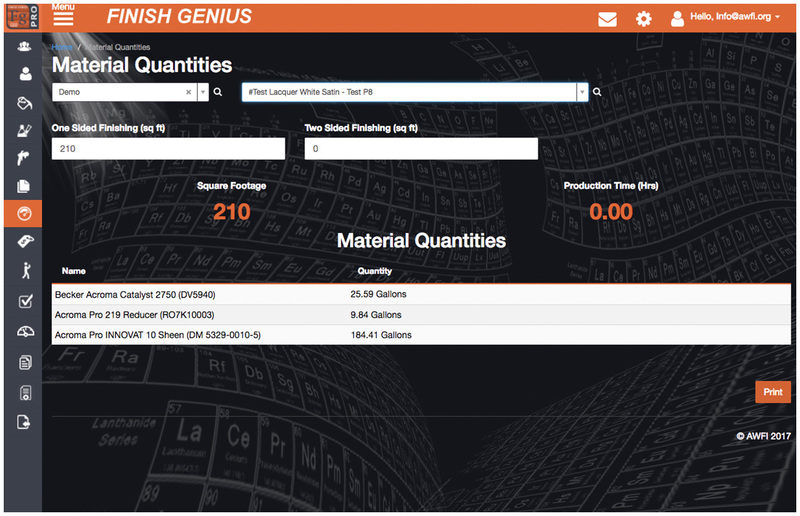 All your finishing data will be imported and configured in Finish Genius by AWFI. Ready to use formulas, process schedules, and electronic process validation checklists. For shops that wish to start new production or are looking for new finishing schedules, this is a perfect Finish Genius solution. All color formulas and processes are pre-engineered and ready to use with 150 process schedules. This option is limited to major manufacturer finishes. 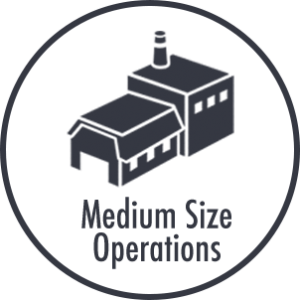 For medium sized operations that require one admin and up to 10 user accounts, this is the perfect solution to accomplish your finishing goals. This is a great fit if you already have the process information, but are looking to make it consistent year after year. You have already proven you are a highly skilled finishing shop! Medium size operations can now take it to the next level with Finish Genius Turnkey Data Setup and reduce the re-works. All your data will be automatically imported and configured in Finish Genius. Ready to use formulas, process schedules, and electronic process validation checklists. 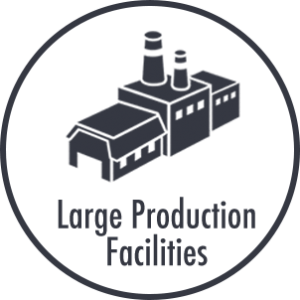 The FG Team can provide custom setup and remote process engineering to meet the special requirements of a large production facility. Our team specializes in implementing processes using best practice standards and efficient process documentation to provide the best value in the industry. Choose from installing it on local servers, or use the web based application. These valuable solutions are always available remotely, saving you time and money by using the FG secure web-based application. For companies that prefer secured locally hosted FG Pro+ Software System, a purchase option is offered. Our team will setup all data bundled and install on a network of your choice. For shops that require custom setup and process engineering assistance, our experienced process engineering technicians are available to provide remote process configuration using best practice standards to fit your shop requirements. Contact AWFI for more information.